Dynasty is a cast aluminum deep seating and dining set that is sure to make an impression on your guests. Dynasty’s tabletops are crafted with our proprietary TerraFab technology that emulates the look of real wood, stone, and concrete without any need for maintenance. 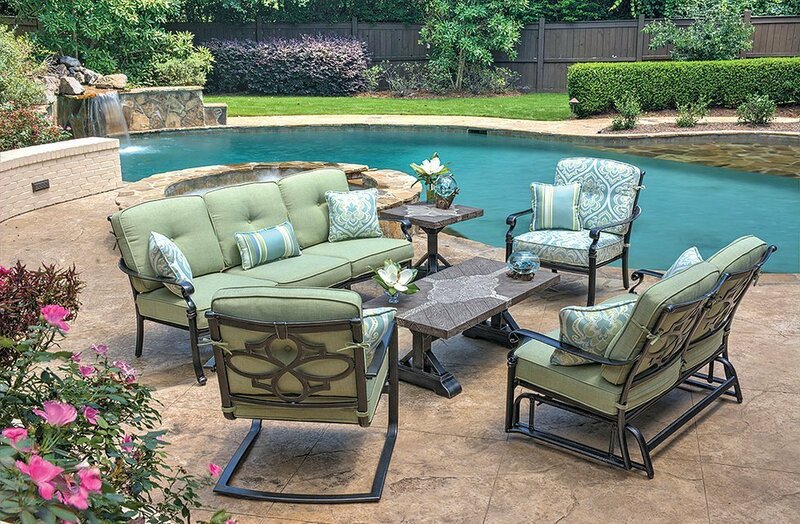 Cushions & pillows are covered with all-weather & fade resistant outdoor fabric. Show off this unique outdoor furniture collection in your space.